The home buying process, although stressful at times, is rewarding and exciting. If you’re thinking about buying a home, there are some basics that you should know about. Keeping in mind the following steps to buying a home will help the process to go smoothly because you will know what to expect. 💰 What Happens After Offer is Accepted? Long before you are ready to start looking for a home, you should check your credit score. You don’t want to wait until the last minute to find out there is a problem with your credit that is going to prevent you from getting a home loan. 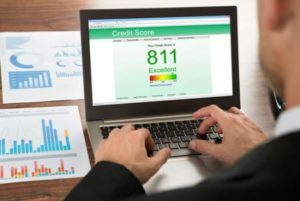 You’ll want to check your credit score and report to identify incorrect information so that you can have such information corrected or removed. You would be surprised at the amount of errors a credit report can contain. If your credit score is low, you’ll want time to raise your score before you start home shopping. This will allow you to obtain more favorable loan terms. Unfortunately, the home buying process costs money. It would be great if you could breeze through the entire process without having to pay any upfront costs. But, that’s not the way it works. You’re going to need cash to pay third party fees, which include fees for inspections, appraisals, credit check and closing costs, just to name a few. Depending on the type of loan you have, you could be required to pay as little as three percent or as much as 20 percent down. If you don’t have cash readily available for such costs, it can hold up the loan process and could ultimately cause you to lose the deal. Your real estate agent is key to completing a successful transaction. They are going to take you step-by-step through the home buying process. They are the one who will help you find the home of your dreams. You want someone who is readily available to answer your questions and negotiate to get you a great deal. The real estate agent you choose should be experienced and know the market in which you’re looking to buy a home. They should also readily give you references if you ask for them. 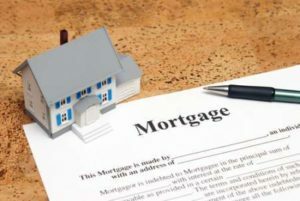 Before you start looking for that perfect home, you will want to get pre-approved for a home mortgage loan. By doing this first, you will know what your price limit is. There is nothing more disappointing than finding the home of your dreams only to find it is too expensive. You will likely spend a lot of time looking at different homes. You don’t want to waste time looking at homes out of your price range. Once you’ve found a home that you love, it’s time to place an offer. Your real estate agent will guide you on this part of the process and help you formulate the right offer. You’ll want to make an offer that has a good chance of being accepted. Therefore, you don’t want to make an offer that is too low. Doing so could mean that the seller won’t take you seriously and will move on to a better offer. Once the seller accepts your offer, your attorney will draft a purchase agreement which will be sent to the seller’s attorney. It is during this time that certain conditions may be added to the contract. For instance, if you require any repairs by the seller, such repairs can be specified in the contract. Once the conditions of the contract have been agreed upon, you will schedule a home inspection. If no problems are found with the inspection, you can schedule the appraisal. If the home appraises, you will move on to closing. If the home doesn’t appraise, you may need to go back to negotiating. On the day of closing, you will need to be prepared to pay closing costs and sign many documents. The seller may or may not attend the closing. But, you, as the buyer, will be required to attend. Once all the documents are signed and the money has changed hands, you will receive the keys to your new home. After such a long and stressful process, you will be able to finally enjoy your new home. The steps to buying a home are not always easy, but in the end, it is all worth it. Your real estate agent is the best source of information about the local community and real estate topics. Give The Sold by Simmons Team a call/text today at 720-308-6035 to learn more about local areas, discuss selling a house, or tour available homes for sale. The Sold By Simmons Team is South Denver’s most innovative real estate team.